In my quest to understand what interpretation means, I frequently circle back to the idea of storytelling. Stories, myths, parables, fables, analogies: these are the universal language humans use to make sense of the world we live in. I came across an intriguing assertion in a book related to sustainability recently. In The Myth Gap, the author Alex Evans connects current lack of action on environmental issues to poor storytelling. People know things are bad (or at least some people do), and the scientific proof exists, and yet there is continued apathy. Evans believes this is because of what he calls the myth gap â€“ a lack of effective storytelling around the issue. Stories that diverse people can gather around and connect over and generate not only mutual understanding, but also motivated action. He goes one step further and even asserts that we are the first generation without a culture of myths, leaving us unable to think symbolically. Is that true?! In this atmosphere, storytelling that connects people is more critical than ever. Evans notes that myths perform three roles: to describe reality as it is, to help people face and deal with the despair difficult realities, and to give hope for the future. So how can we step up and meet that demand? Exhibitions in cultural institutions, whether museums, zoos, aquariums or monuments/memorials offer a unique proposition in the act of storytelling: the ability to create a story that unfolds itself in time and in a shared space. These are prime places for collective narrative-building and interpersonal connection. So much potential! But also, a huge challenge. It is up to us as professionals to think outside of the box of what exhibitions have been and create something that immerses people in exciting and inspiring stories that are also relatable and relevant. 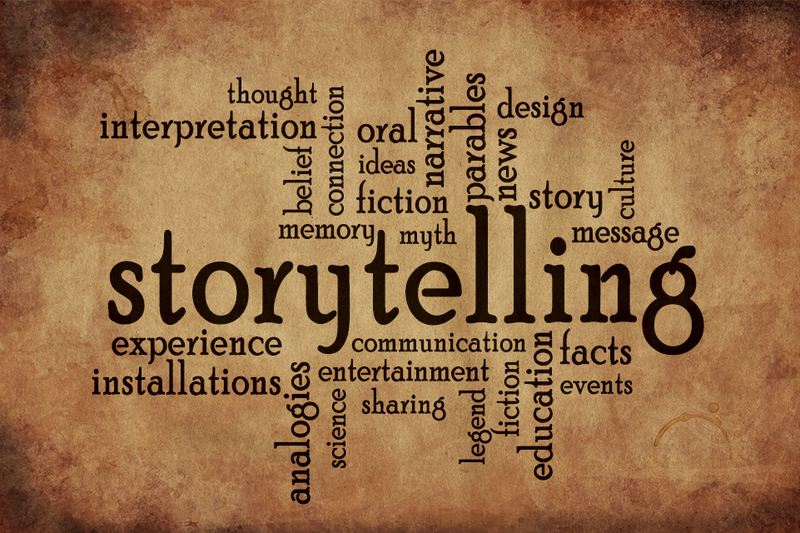 Mobilizing new storytelling tools that are adapted to our current communication situation is imperative. Designers, curators, interpreters all wield the power to reflect the state of the world to people, through the lenses of science, art, history and the environment, and to fill a vacuum for meaningful and impactful storytelling that inspires change. We can mediate the space between what people see and what they think.